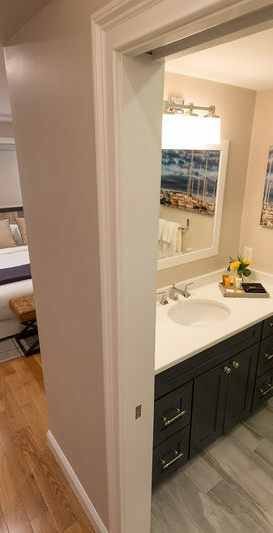 Discover a new way to stay with Vacation Newport! Vacation Newport's distinctive collection of luxurious Newport accommodations offer travelers visiting Newport County, Rhode Island unique alternatives to traditional hotels. Stay at one of our modern inns overflowing with historic charm, reserve a loft overlooking the hustle and bustle of downtown Newport or retreat to a cottage hideaway at the East Island Reserve Hotel, just steps away from local nature trails, vineyards and more! You'll find all of our lodging options bursting with style and personality. Each dwelling has been carefully designed with pristine attention to detail, and thoughtful attention has been given to the comfort and convenience of our guests. Our team of Vacation Specialists is made up of knowledgeable individuals happy to provide local expertise and concierge services to make your stay as enjoyable as possible. Allow our team's diverse set of skills to bring you the best Rhode Island vacation travel experience possible.